2015 Ford Explorer Limited V-6 FWD. You are viewing another new addition to our fleet in this 2015 Ford Explorer Limited. Some of the convenient features on this vehicle include, Smooth automatic transmission, Heated front and rear leather seats, Panoramic sunroof, power windows, power locks, power seats, cruise control, remote start, Alloy wheels, Sony Microsoft sync radio with touch screen and Bluetooth, 3 row seating, 7 passenger, rear air controls and much more! This Explorer does come with a restored title due to previous hail damage only. All dings have been removed by paintless dent repair. All panels are original on this vehicle. It has passed the DMV level 3 inspection process. We have also put this and every one of our cars through an extensive multi level inspection process to ensure all of our customers receive a turn key used vehicle with no worries. 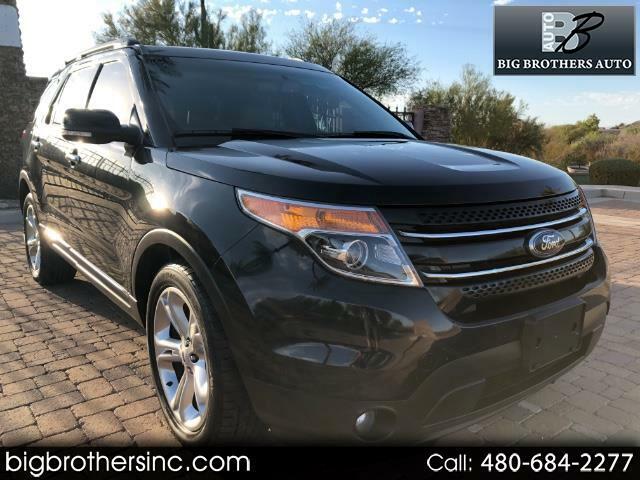 Please call or text John at 602-684-0202 with any questions, or if you would like to come out to see and test drive this vehicle.